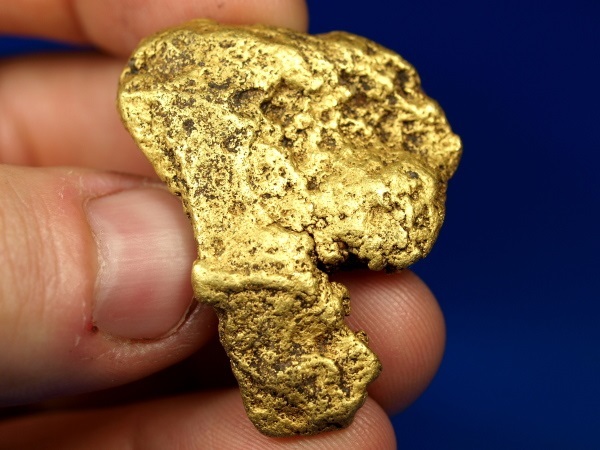 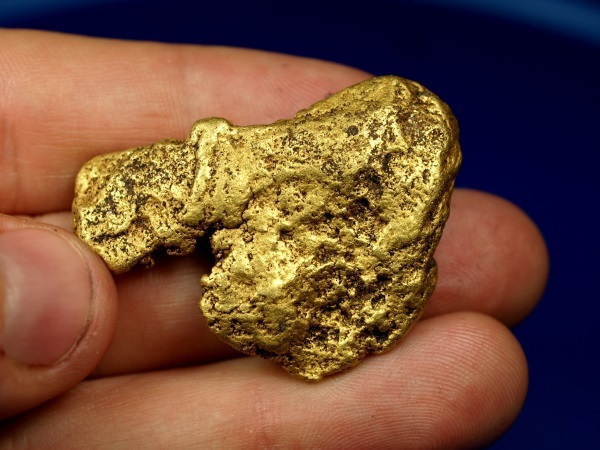 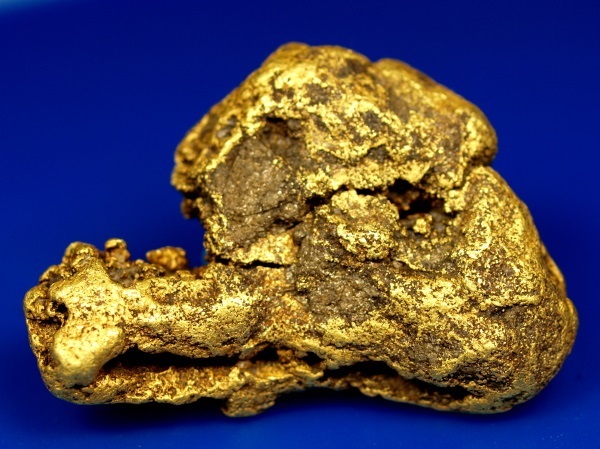 Here is a seriously nice chunky of Alaskan gold! 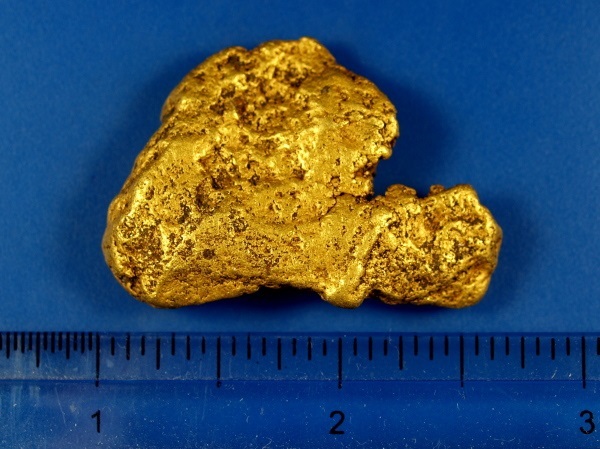 This big gold nugget was found recently at a mine near Fairbanks, Alaska. 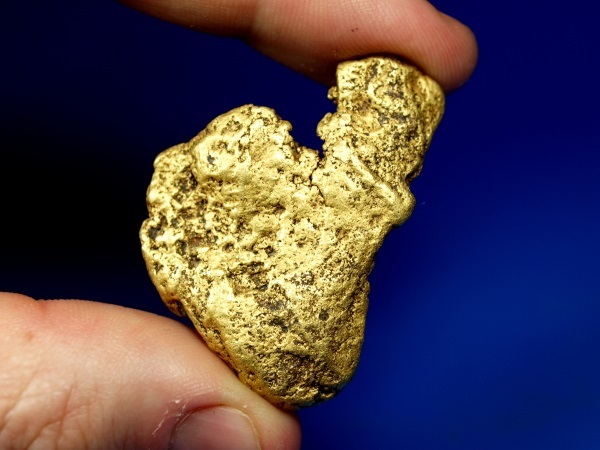 It is nice and heavy in the hand, with a somewhat flattened shape that gives it a nice sized surface area that shows displays well. 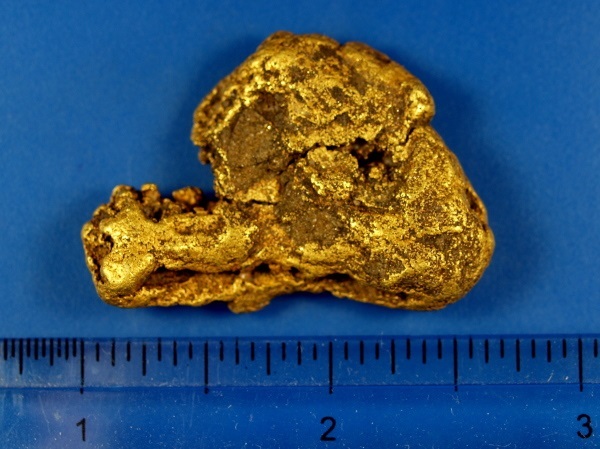 It weighs 1.36 troy ounces or 42.34 grams. 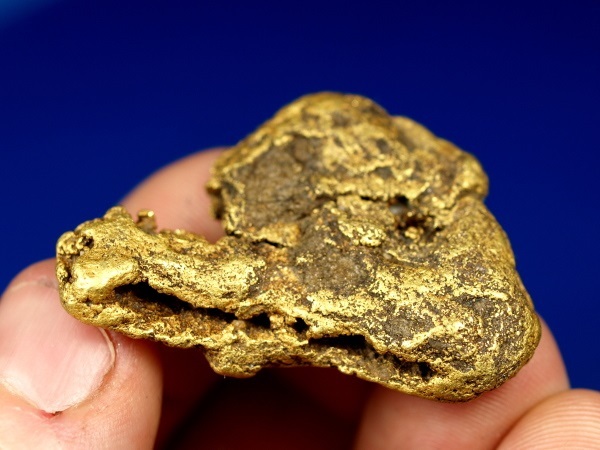 It has a very small amount of host rock that is down in the grooves on one side which would only account for a negligible amount of the total weight. 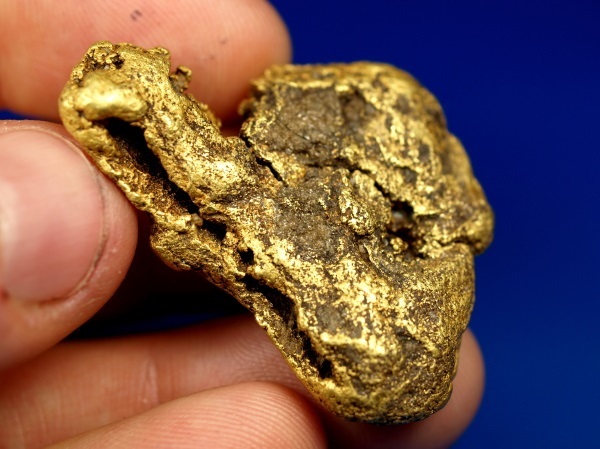 I considered doing some cleaning to remove the rock, but I kind of like the "roughness" of this big ol' Alaskan nugget, so I kept it the way it is fresh out of the ground.